In this application note, we show you how to use miniDSP to properly integrate a subwoofer into your system. 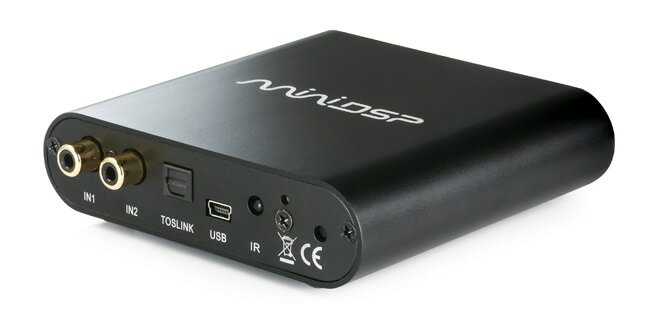 For a ready-to-go standalone solution, a miniDSP 2x4. Or for balanced inputs and outputs, the miniDSP Balanced 2x4. 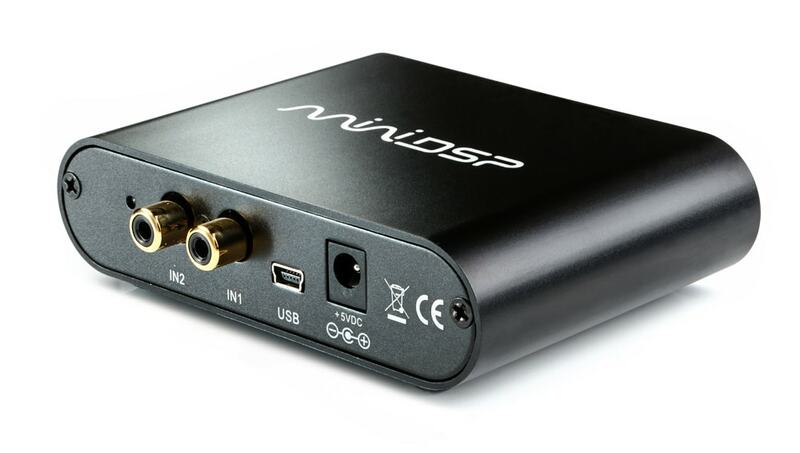 For a kit solution with choice of digital (coax or optical) or analog inputs, a miniDSP/DIGI Combo. Or for balanced inputs and outputs, the miniDSP/DIGI Balanced Combo. The miniDSP plugin 2 way Advanced 21. A measurement microphone, such as the UMIK-1, and the freeware Room EQ Wizard (REW) measurement program. The diagram below shows the hardware configuration for a typical setup, assuming a stereo amplifier and a subwoofer with built-in amplification. Disable the subwoofer's internal crossover if possible, otherwise set the crossover to as high a frequency as possible (because the miniDSP will be doing the crossover instead). Double-click on the installed plugin (e.g. "MiniDSP-2waySUBAdv") to open it. If you receive a message about installing Adobe AIR, quit the plugin, allow Adobe AIR to install, and re-start the plugin. Click on the Sync button (in green). At the dialog box, click on "Reset to defaults." To equalize the subwoofer, you will connect your audio interface to input channel 1 only, and do all equalization operations on Parametric EQ - Output 1. Make sure that your main amplifier is turned off (or alternately, you can mute output channels 3 and 4 using the miniDSP plugin interface). Finally, once your EQ is all set up, click on the button "Copy to Output 2." This will ensure that the right audio channel is processed the same as the left. (Note that this is necessary, even though output channel 2 is not physically connected to anything. Note: If loading an REW file when you have an existing filter such as a Linkwitx Transform, you will have to a. ensure that REW is limited in the number of filters it uses for auto-EQ and b. edit the REW file before loading to include the coefficents from the Linkwitz Tranform. Click on the top crossover block in the miniDSP plugin interface. For output channel 1, enable the low pass filter (turn off the Bypass button). As a starting point, set frequency to 80 Hz and the filter type to LR 24db/octave. For output channel 3, enable the high pass filter (turn off the Bypass button). As a starting point, set frequency to 80 Hz and the filter type to LR 24db/octave. Adjust the gain of either channel 1 (the subwoofer) or channel 3 (the main speaker), so that the acoustic levels are matched. Often, a slightly higher level on the subwoofer is subjectively pleasing. Adjust the time delay of either the mains or the subwoofer. This is equivalent to the phase adjustment on many subwoofer amps. Adjust the frequency and slope of the high pass and low pass filters. Note that the filters do not have to be matched. If the mains are already rolling off, then a lower slope in the high pass filter may better match the low pass filter. And in the end, what counts is getting a smooth response. Once you are satisfied, go to the lower crossover block and copy the settings just done across to channels 2 and 4. And... that's it! You can also experiment with different subwoofer locations, and even with multiple subwoofers, to get the best response. Don't forget to ask on the miniDSP forum if you have questions. For two-channel input, a miniDSP 2x8 kit or miniDSP 4x10 Hd boxed unit, together with the 4x10 plugin. For multi-channel (i.e. 5.1 or 7.1) input, a miniDSP 8x8 kit or miniDSP 10x10 Hd boxed unit, together with the 10x10 plugin. For pure digital input and output, a nanoDIGI 2x8 K kit or nanoDIGI 2x8 B boxed unit, together with the nanoDIGI 2x8 plugin.